History/Mythology: The Word Helitrope comes from the Greek and means ‘solstice’ which is thought to be in reference to its healing properties. This belief has been well documented since ancient times. In medieval texts Helitrope was prescribed for healing infections, inflammation and curing poisoning. 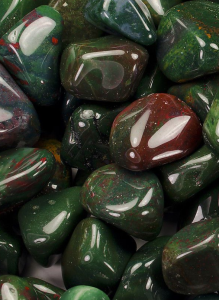 Bloodstone enhances physical and mental vitality. 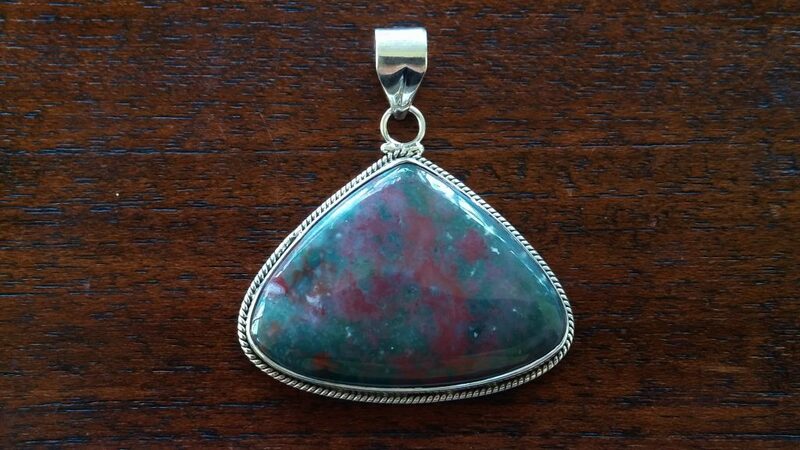 Brings clarity to all situations, wisdom and courage. Helps to calm aggression and violence. Dispels confusion and helps decision making. Reduces irritability, aggressiveness and impatience. Powerful revitaliser when exhausted mentally and physically. Healing – Cleansing for all organs helps iron deficiencies, circulation and bloodstream. Detoxifies liver, kidneys and spleen. Neutralises over-acidity. Supports blood, helpful in cases of Leukaemia. 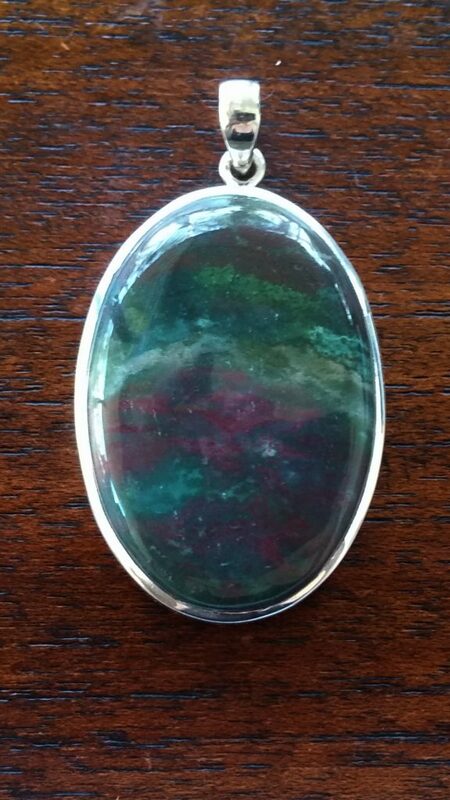 Bloodstone can be worn for long periods of time in direct contact with the body.